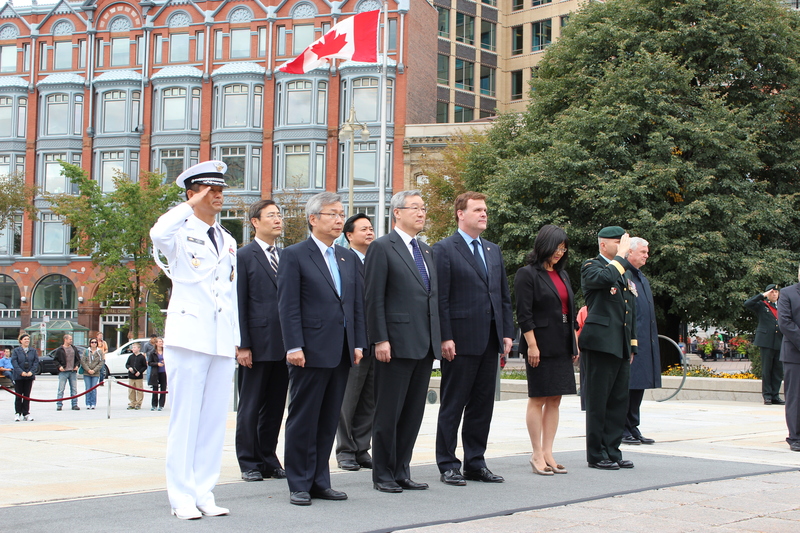 Foreign Minister Kim Sung-Hwan made an official visit to Canada on September 22-23. 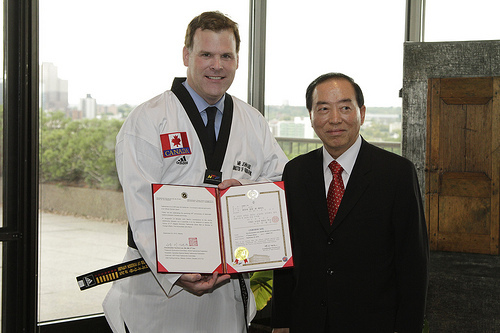 During the visit, he held a meeting with Canadian Foreign Minister John Baird and attended the reception hosted by Minister Baird where he met figures from political, business, cultural and other various sectors, including members of the Canadian parliament and Korean-born local leaders. 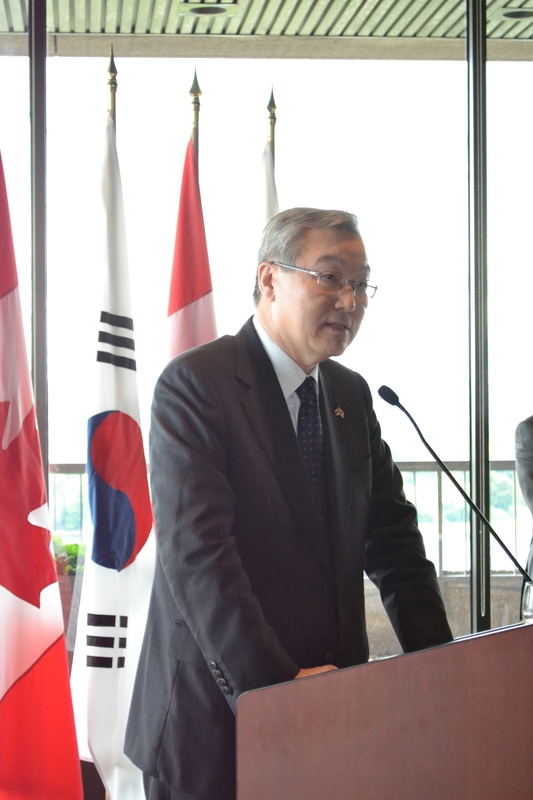 In their meeting, the Foreign Ministers of the Republic of Korea and Canada discussed issues concerning the proposed FTA as well as ways to further develop bilateral ties on the occasion of the 50th anniversary of diplomatic relations; work more closely together in energy and resources; boost a wide range of people-to-people exchanges; and cooperate on regional and global issues. ° The two Ministers noted with appreciation that the two countries have seen steady development in their relations based on a special partnership, and they reaffirmed their willingness to further develop them on the occasion of the 50th anniversary of diplomatic relations next year. 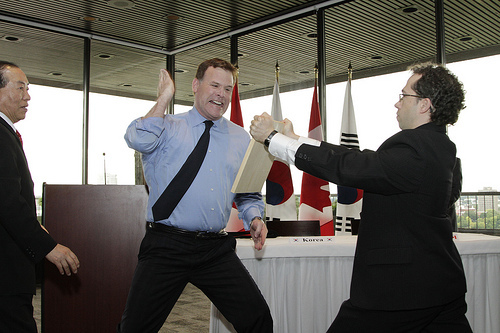 Furthermore, they underscored the need to strengthen people-to-people ties between the two countries. ° The two Ministers, in particular, signed a joint declaration, under which the regular director-general-level consultation mechanism will be upgraded to deputy-ministerial-level strategic dialogue to deal with bilateral, regional and global issues. ° The two Ministers agreed to continue exerting efforts for the ongoing negotiations for a bilateral FTA to create a favorable condition for progress in future talks; and for the two countries to conclude a mutually-beneficial FTA. ° The Ministers agreed to work more closely together in the fields of energy and resources, in particular. 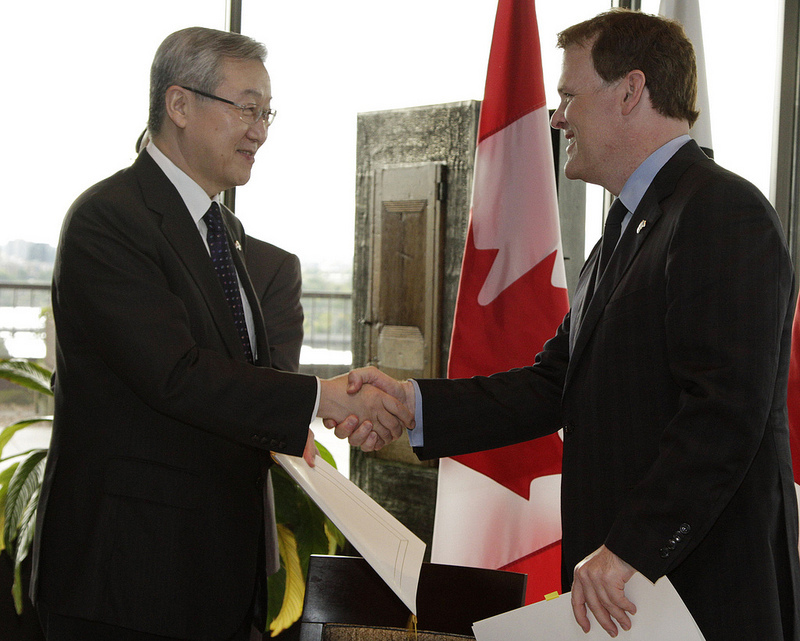 Furthermore, they agreed to strengthen cooperation on regional and global stages. 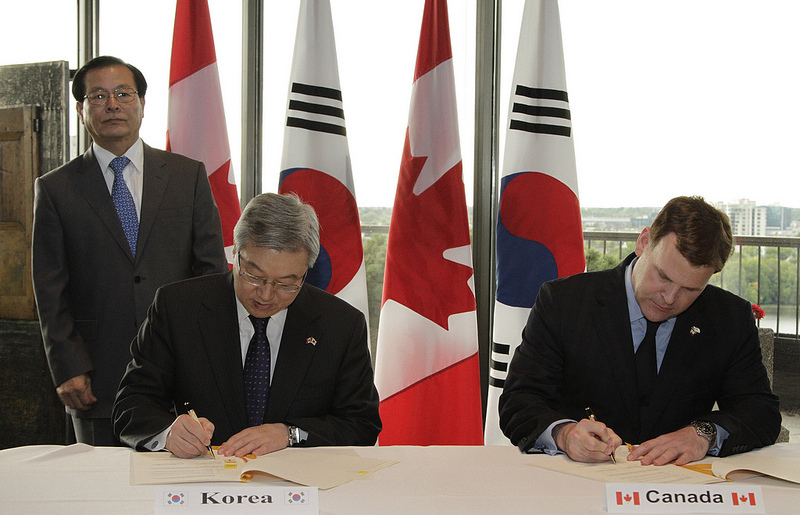 During the meeting, an MOU on development cooperation was signed between the Korea International Cooperation Agency (KOICA) and the Canadian International Development Agency (CIDA) in the presence of the two Ministers. This MOU is expected to contribute to increased cooperation between the two countries in the field of international development and aid. 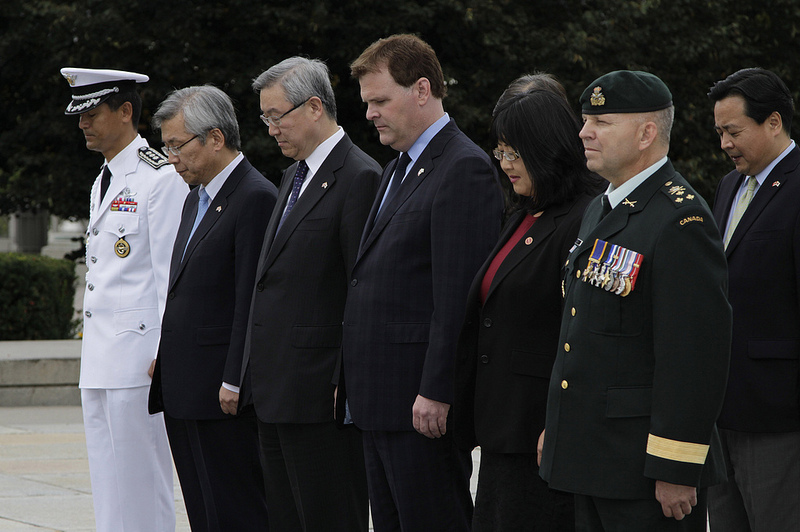 Minister Kim, together with Minister Baird, visited the National War Memorial to pay his respects to Korean War veterans from Canada and extend gratitude to the people of Canada. 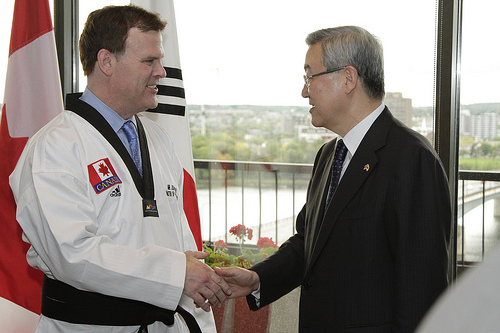 The official visit to Canada by Minister Kim, the first by a Foreign Minister since 2009, took place ahead of the 50th anniversary of bilateral diplomatic relations next year. It is seen to have contributed to building an institutional framework for the development of bilateral relations and cooperation between the two middle power countries; and to laying groundwork for closer cooperation on bilateral, regional and global issues.